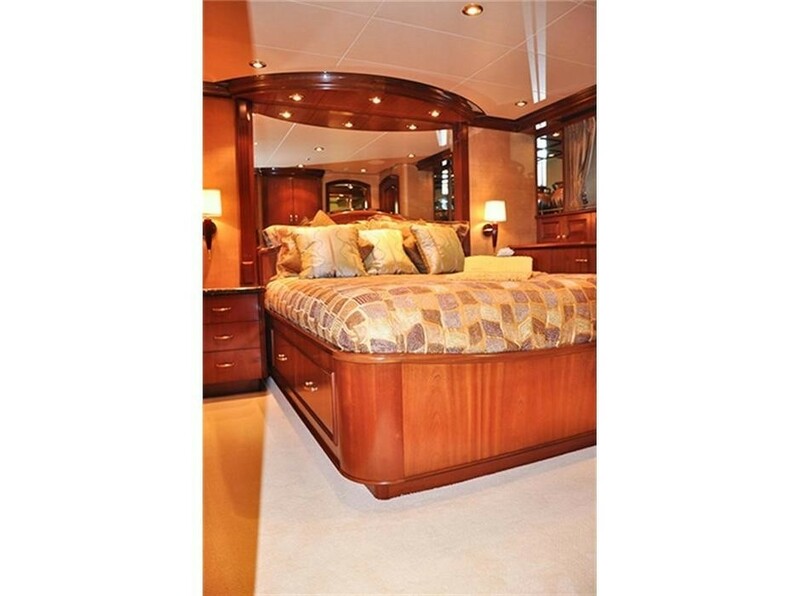 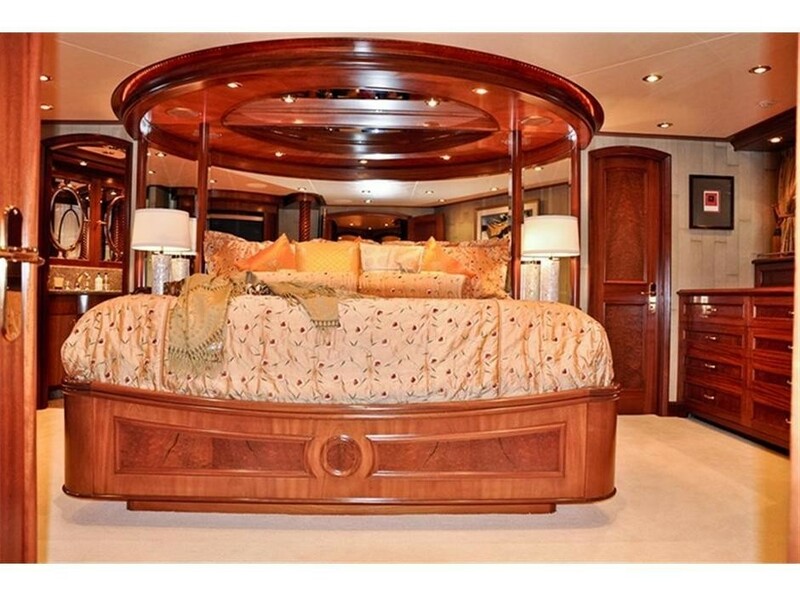 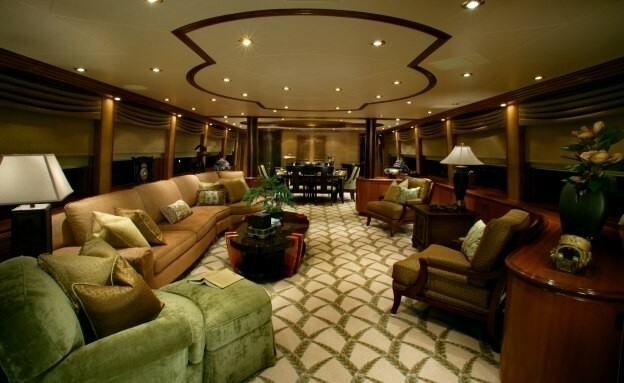 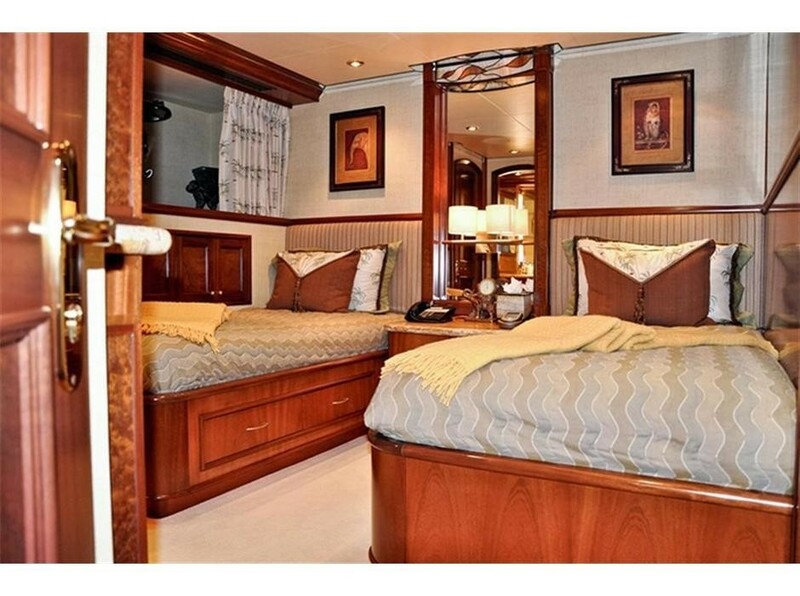 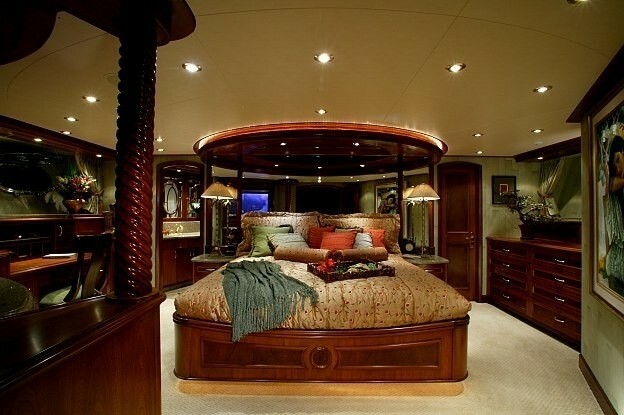 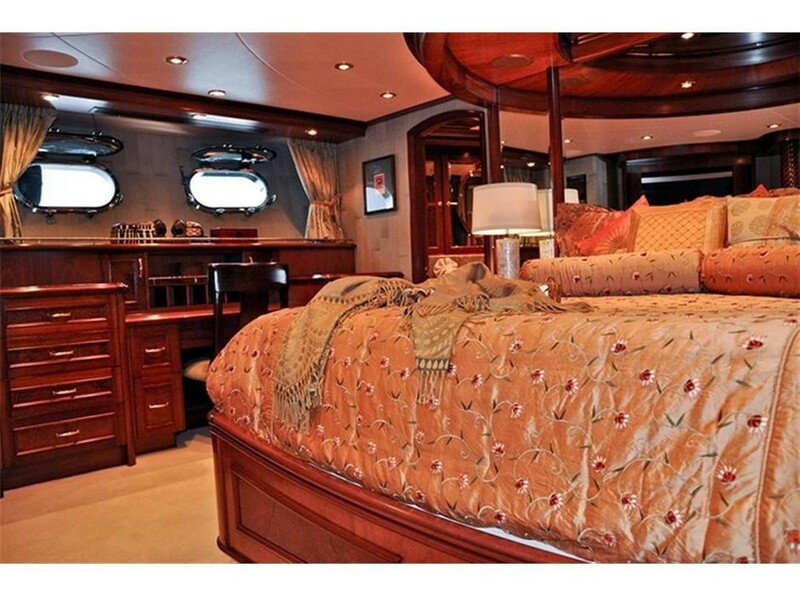 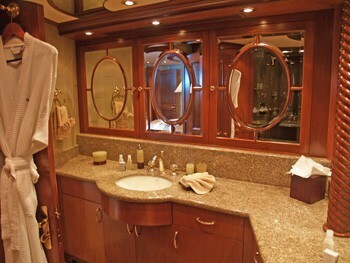 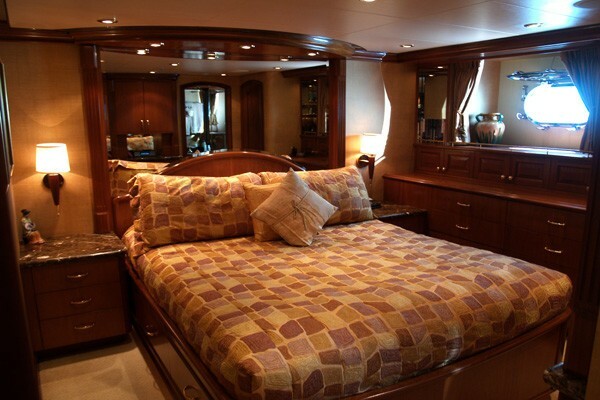 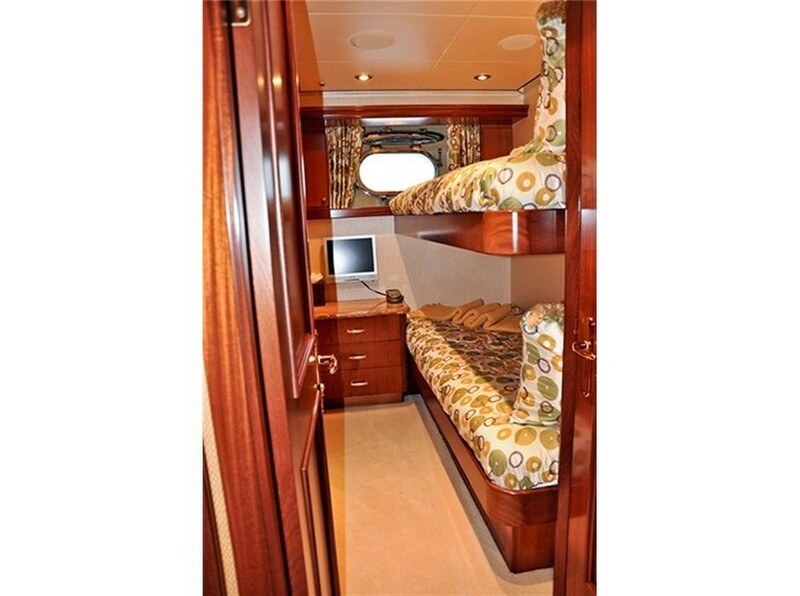 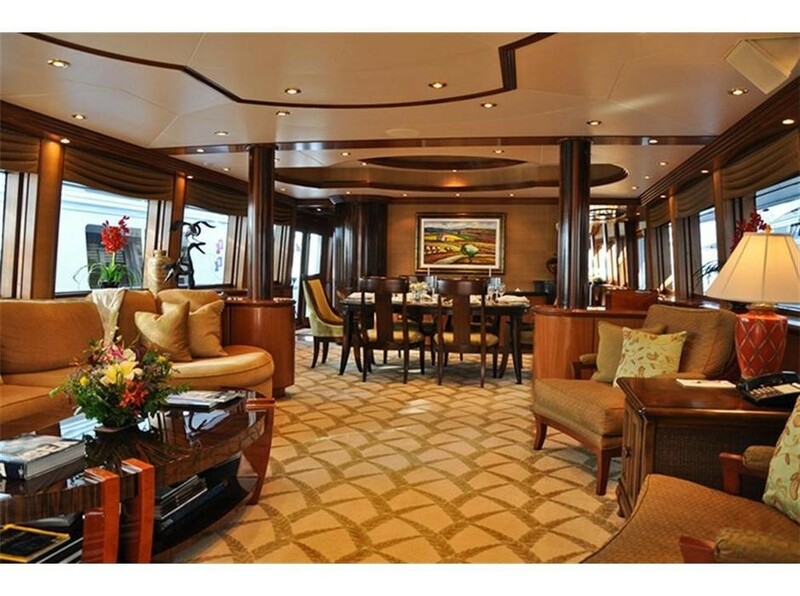 Motor yacht is JOAN'S ARK 36.88m (121') Crescent motor yacht delivered in 2003 and refitted since. 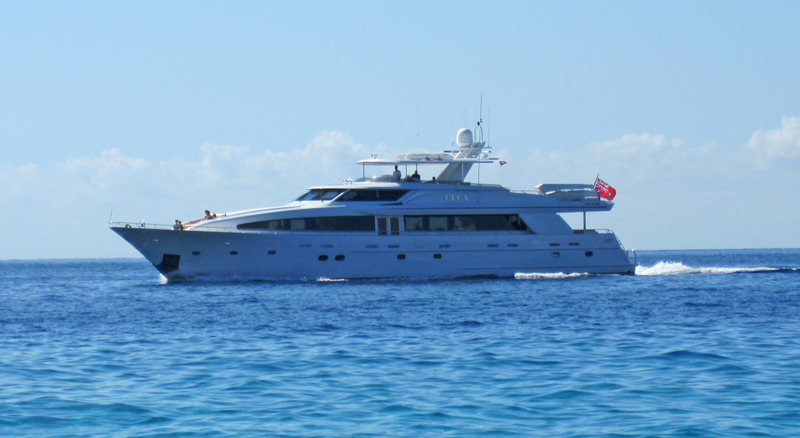 Motor yacht JOAN'S ARK (ex OLGA) is a clean and well cared for composite charter yacht designed by Jack Sarin. 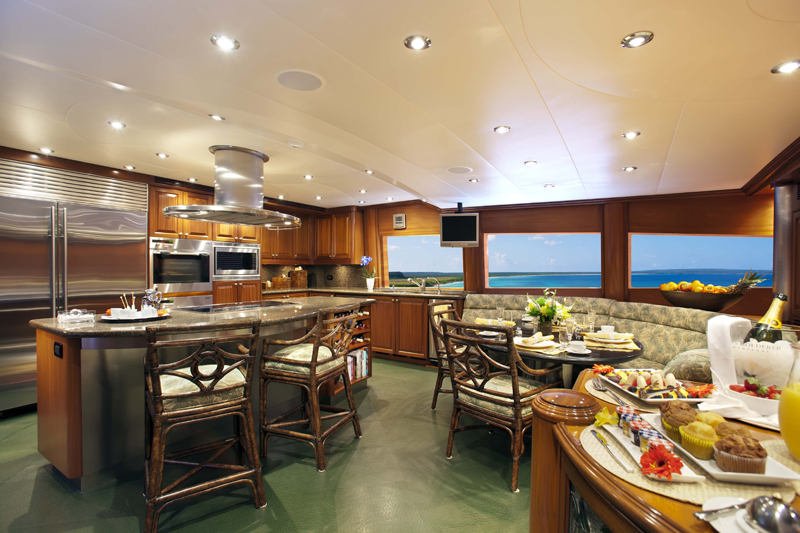 She features interior design by Robin Rose which includes a beautiful hard wood interior of Sapele and Pomele Mahogany, complimented by tasteful, upscale furnishings and a spacious country kitchen with granite counter tops. 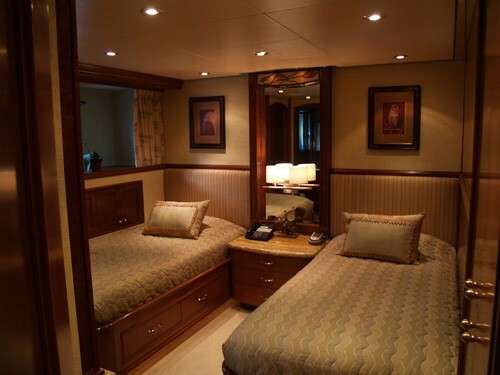 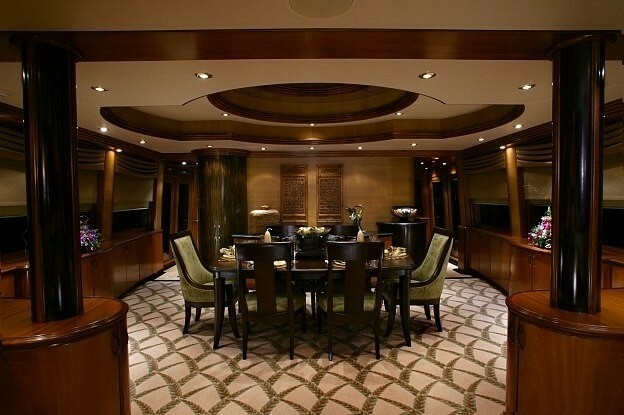 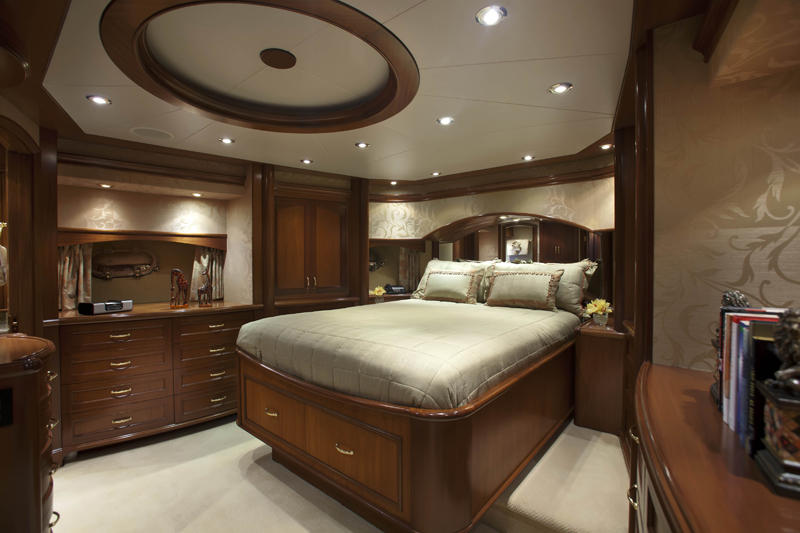 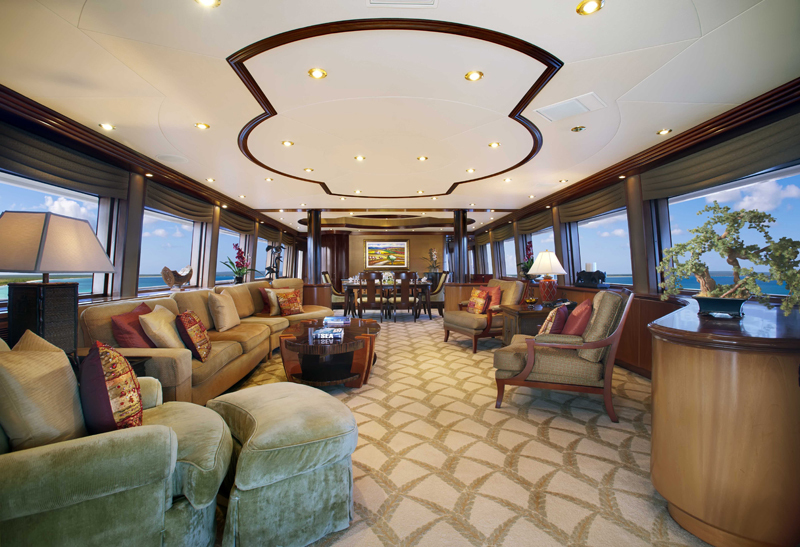 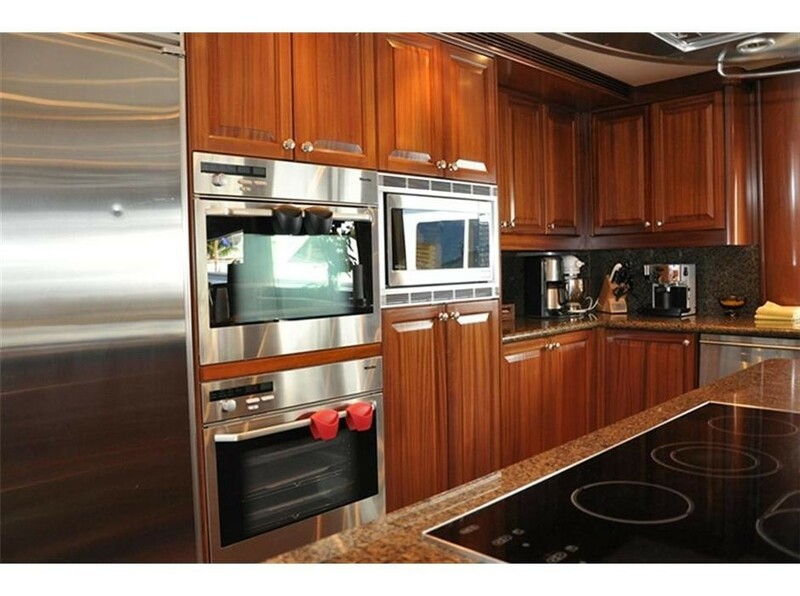 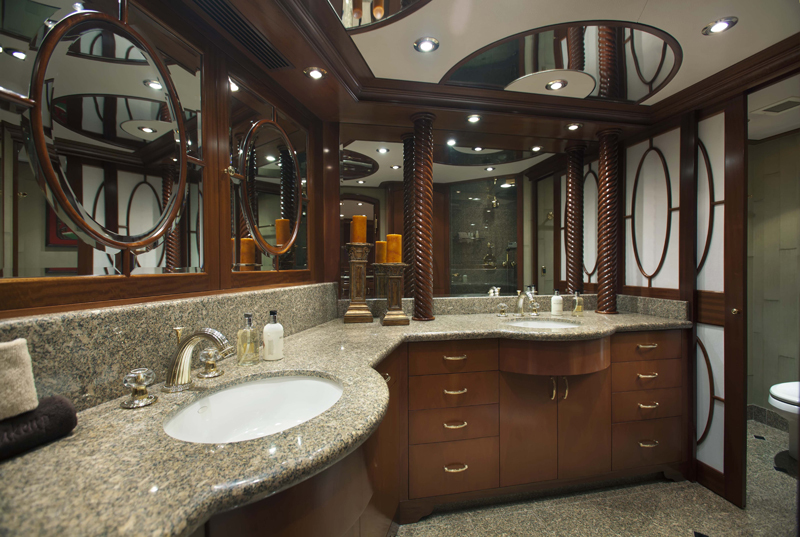 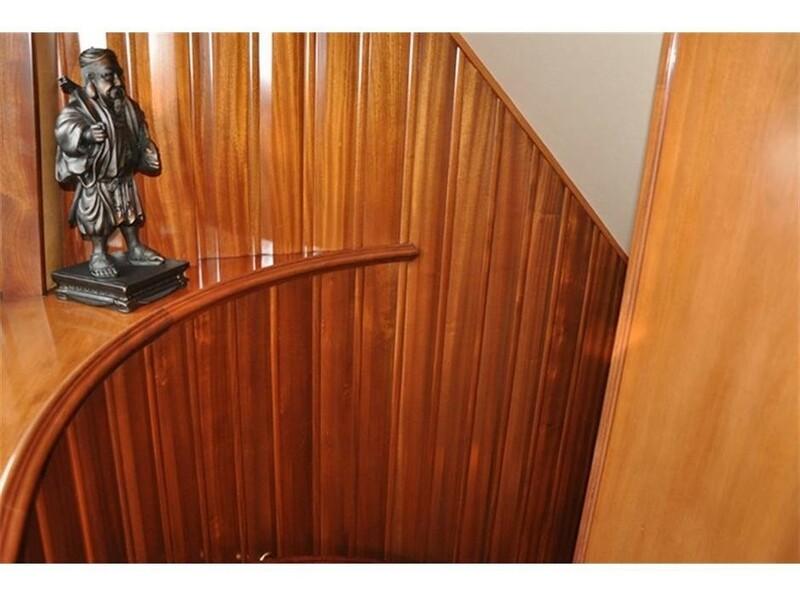 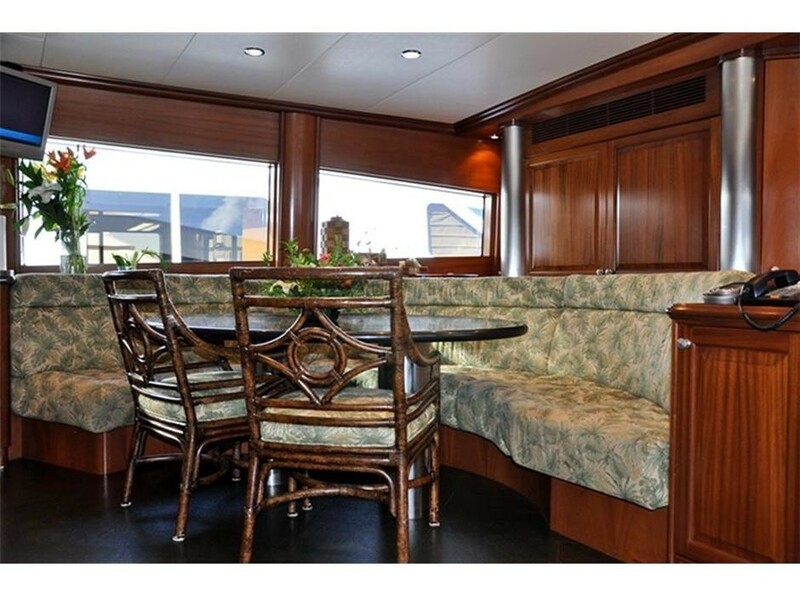 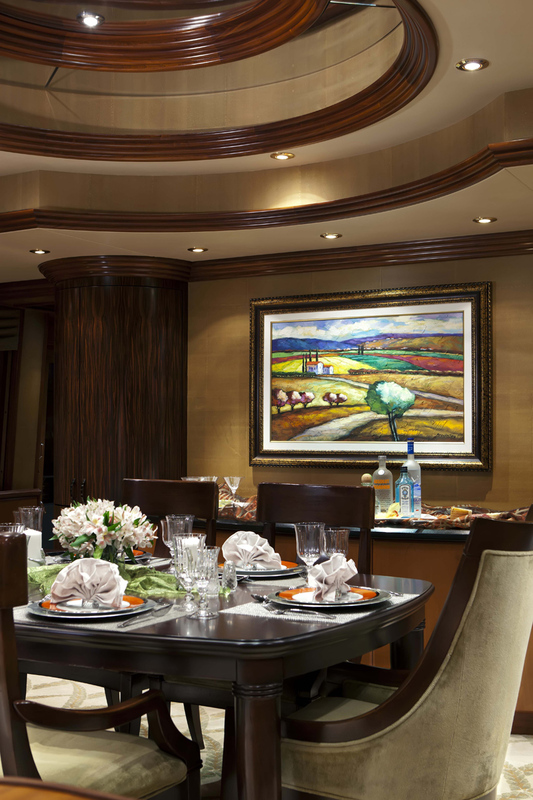 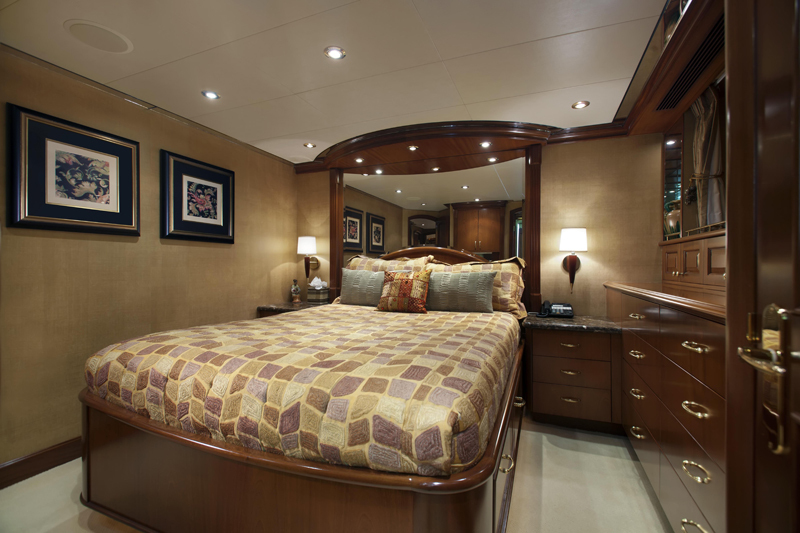 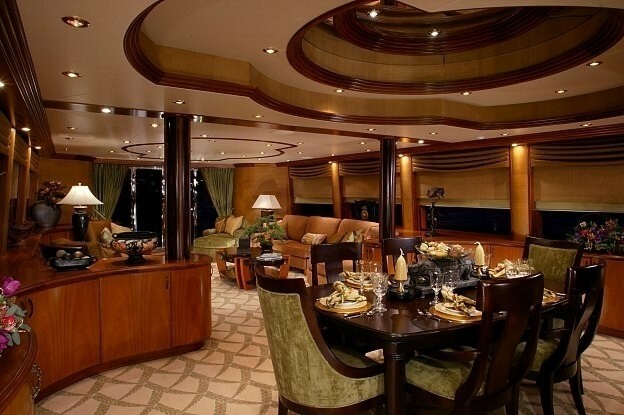 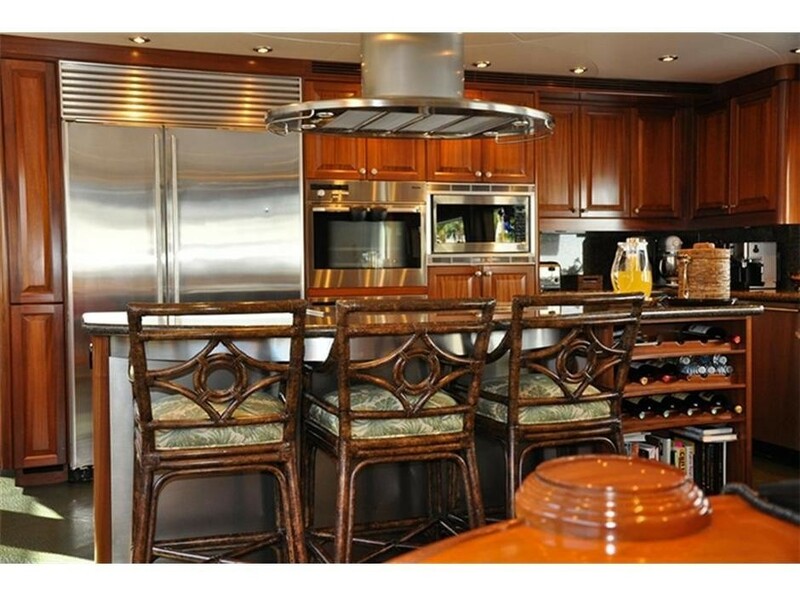 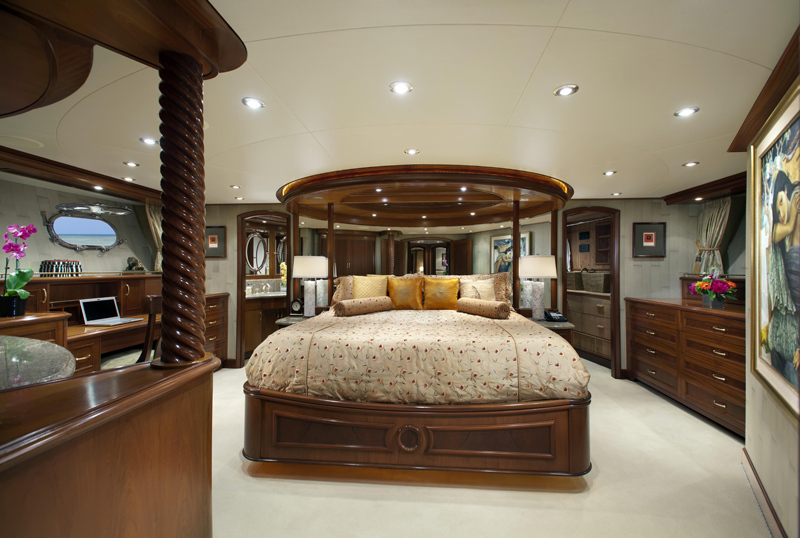 Crescent motor yacht JOAN'S ARK features a formal dining area that can seat up to ten guests. 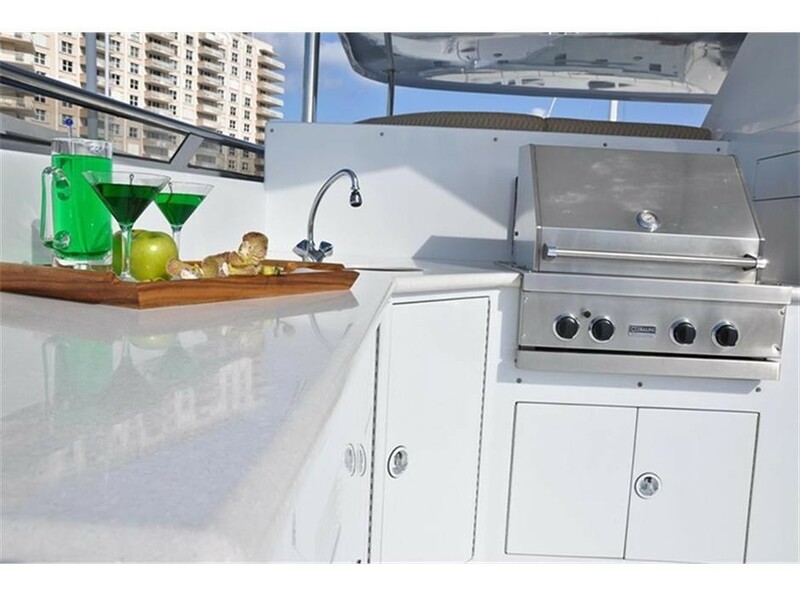 Al fresco dining on the aft deck also offers seating for 10 and includes a full wet bar with refrigerator, ice maker, hand-held shower and access to the large swim platform. 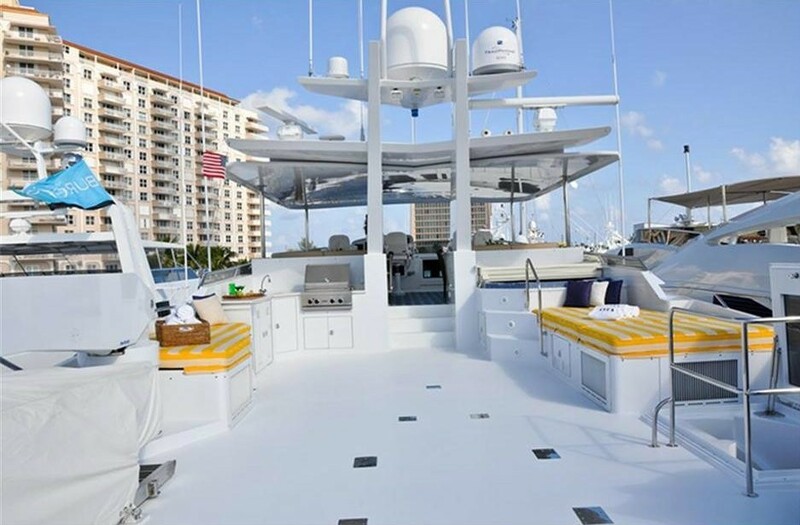 The fly bridge includes a large sun deck area with Spa Pool and BBQ. 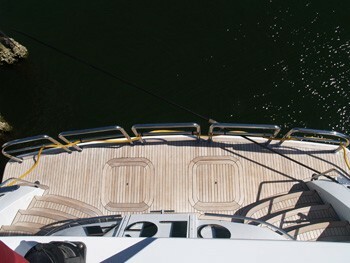 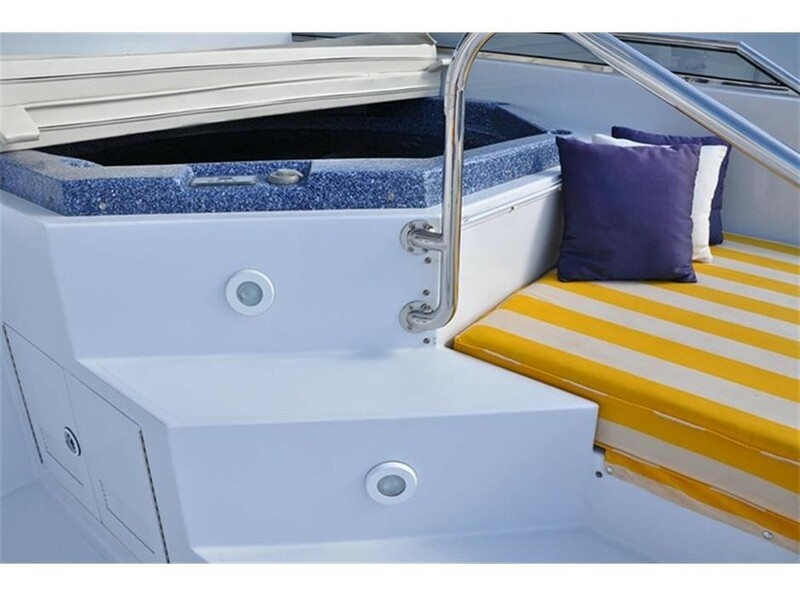 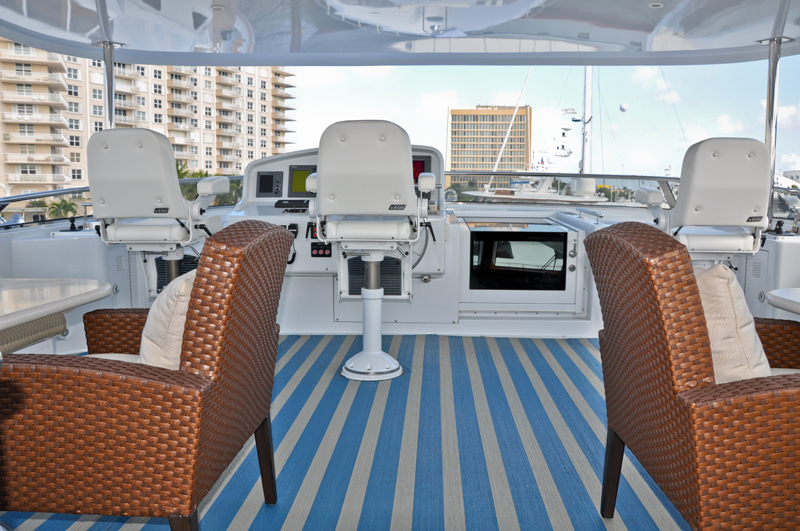 An additional sun pad area is located on the foredeck. 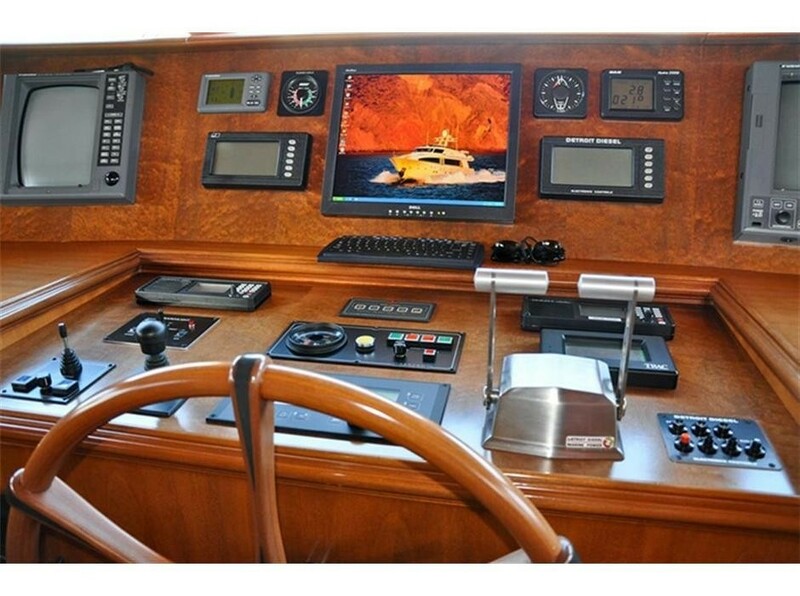 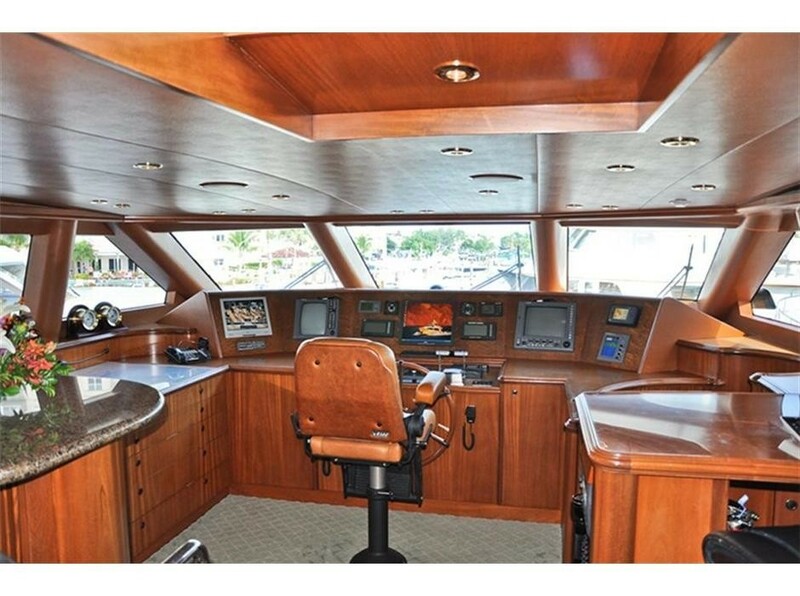 She comes fully equipped with electronics, audio/visual, surround sound system and complete communications package including 24/7 high speed internet access (V-Sat - KVH7). 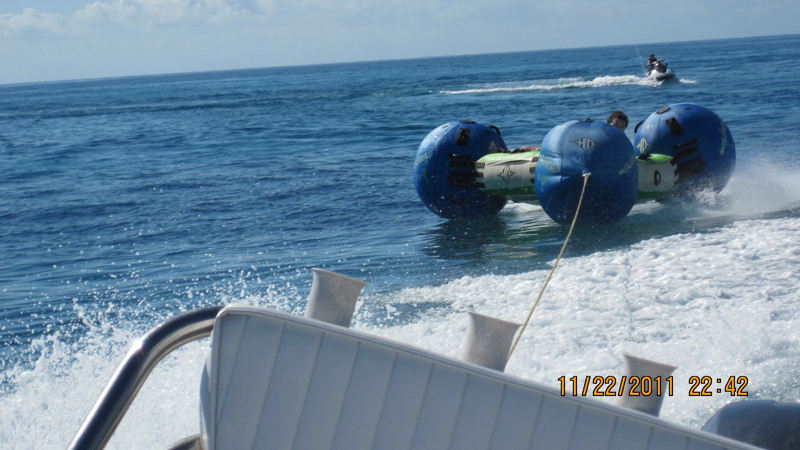 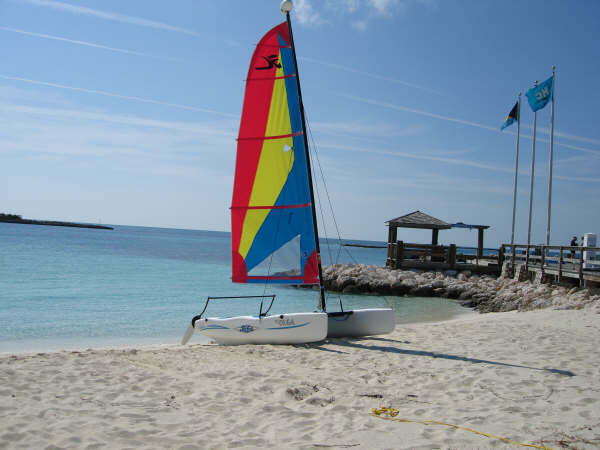 Her crew are enthusiastic and are always eager and ready to assist guests with water sports activites. 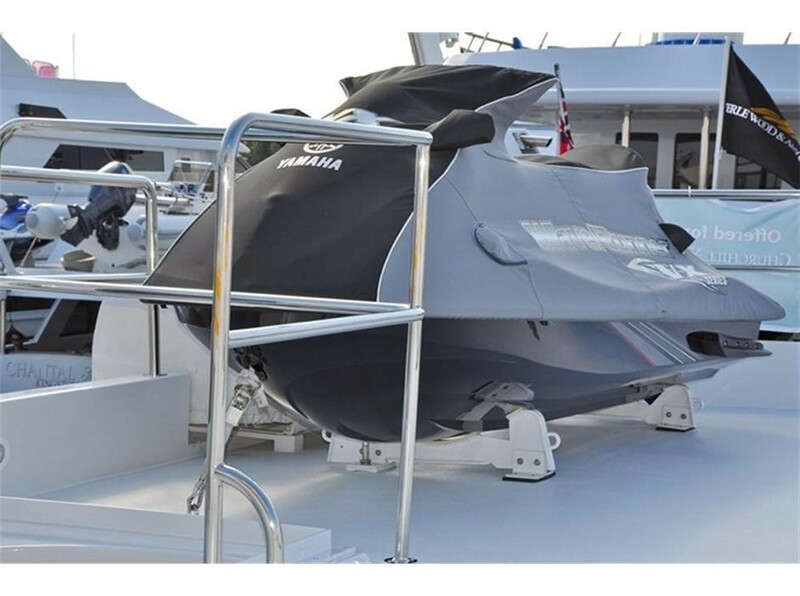 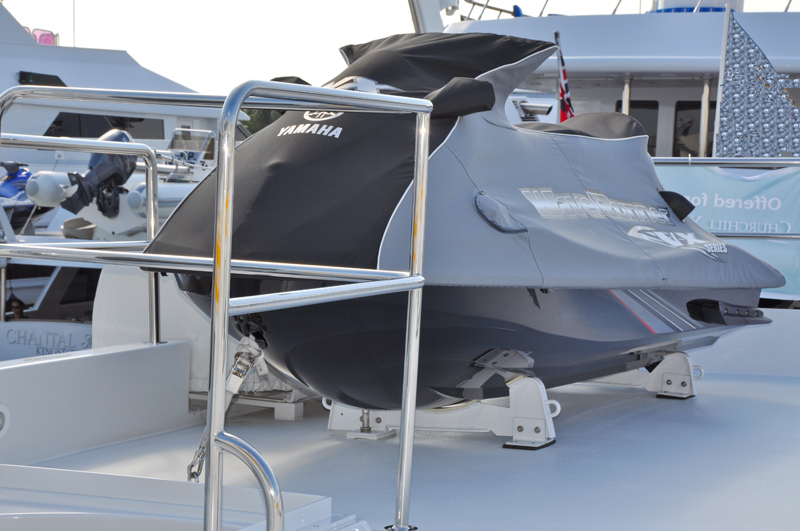 She has a great selection of extras onboard including a 22’6” Novurania hard bottom inflatable with 150 hp Yamaha outboard. 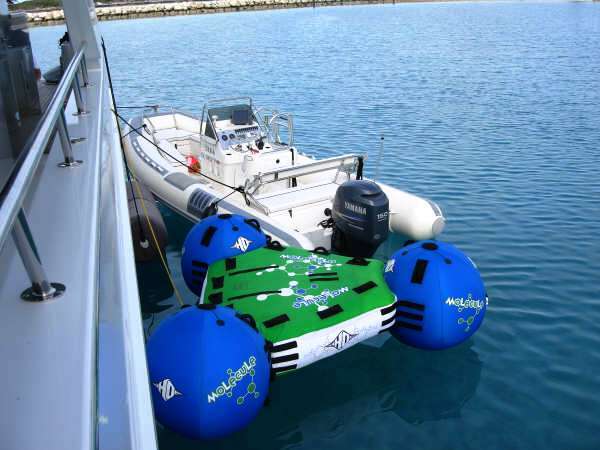 kayaks, Hobie Wave catamaran, snorkel and scuba equipment, dive compressor, water ski’s, towable toys and fishing equipment and In addition there are 2 scooters. 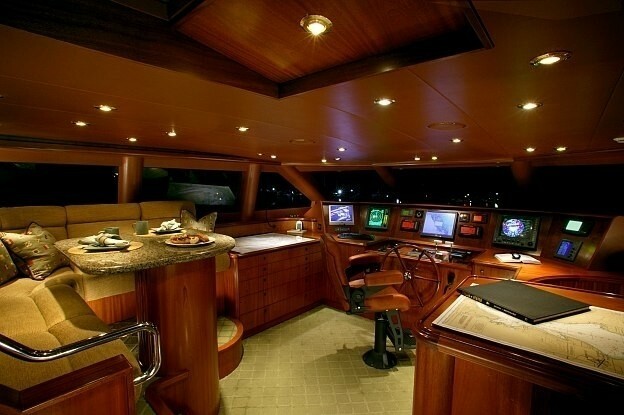 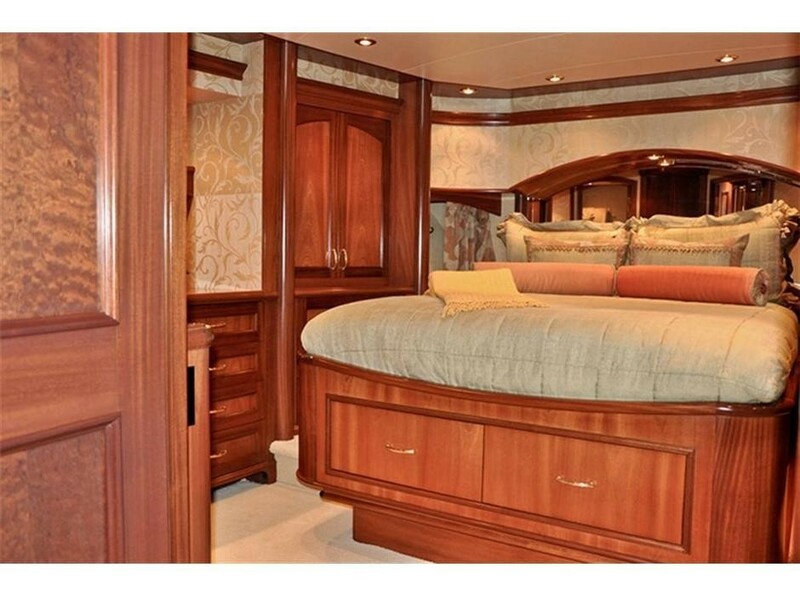 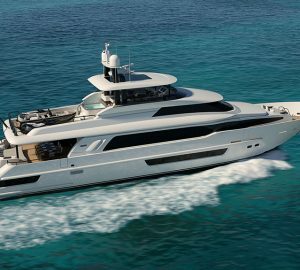 This well-equipped yacht is set up for fun! 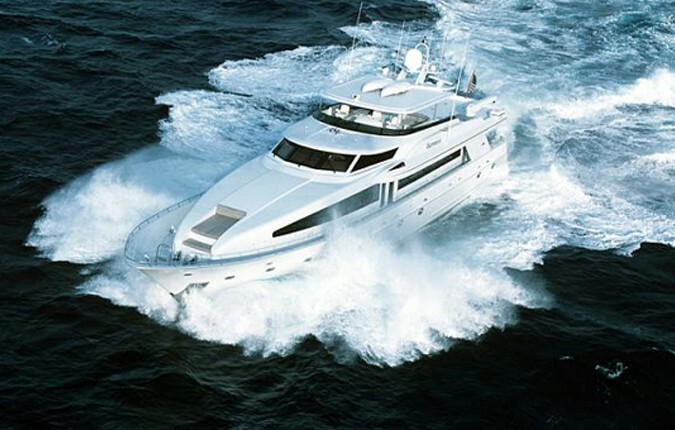 Charter yacht JOAN'S ARK is powered by twin DD/MTU 16V2000 engines, enabling her to cruise at a speed of a comfortable 18 knots and attain maximum speeds of 21 knots. 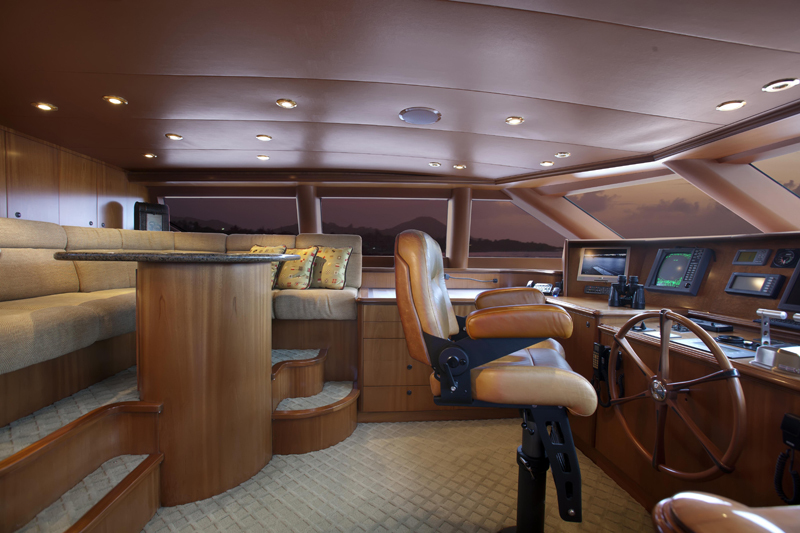 She boasts Zero speed stabilizers ensure total comfort at anchor. 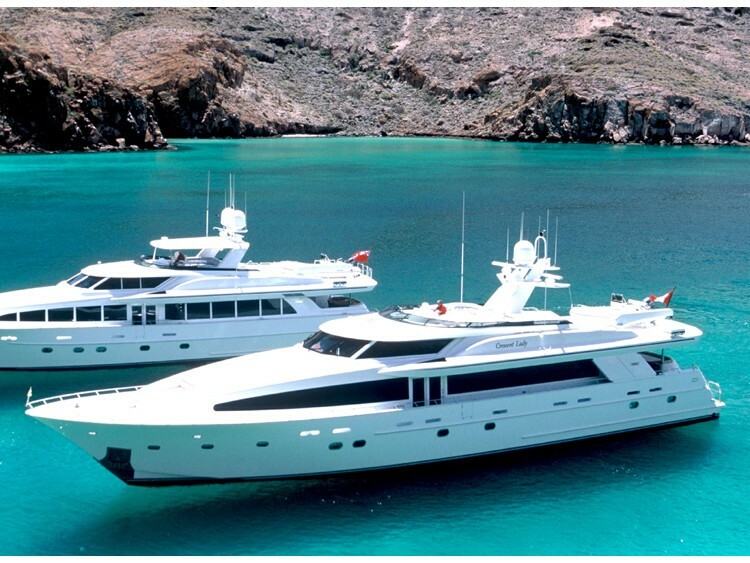 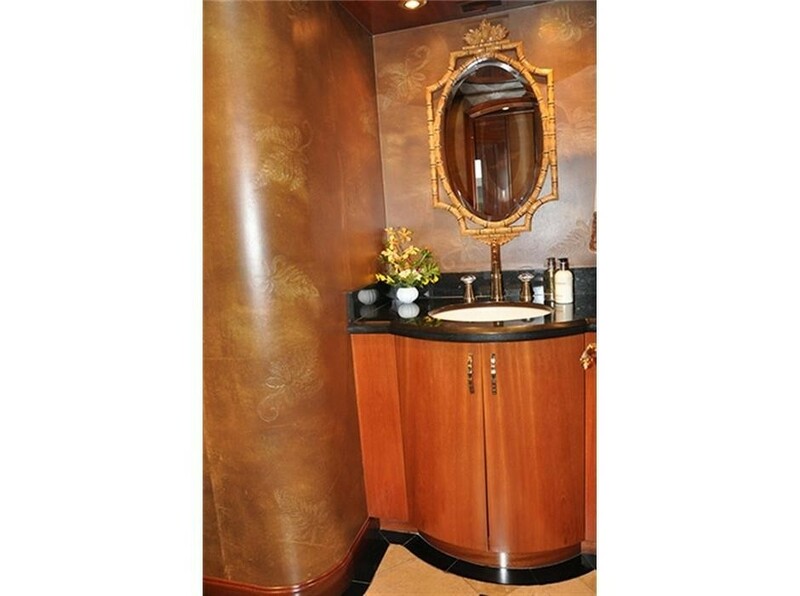 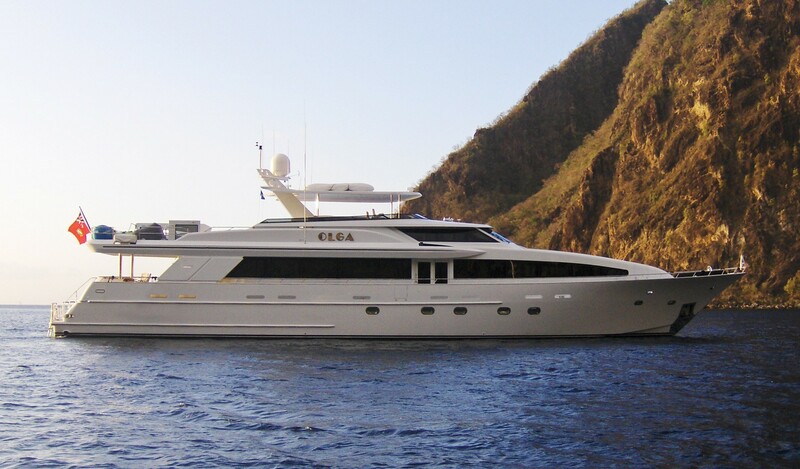 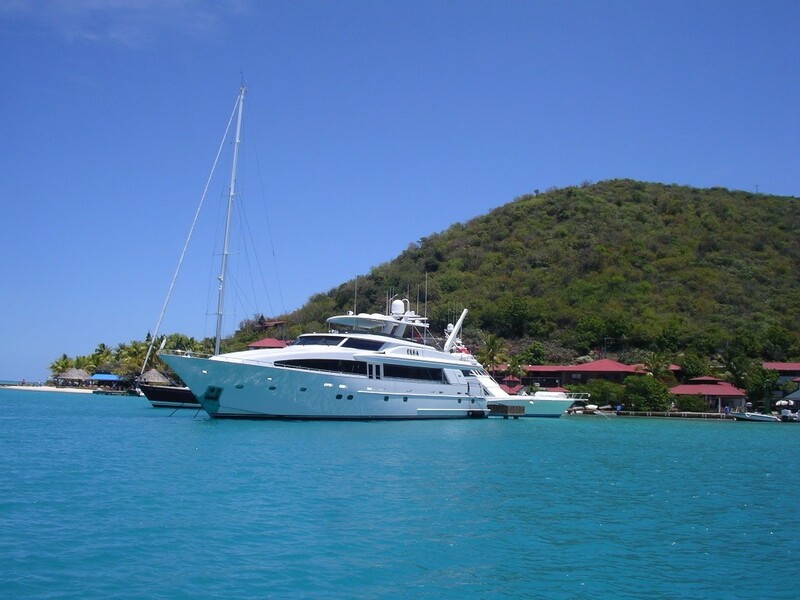 Motor yacht JOAN'S ARK also received a new exterior paint and interior soft goods were replaced in 2008. 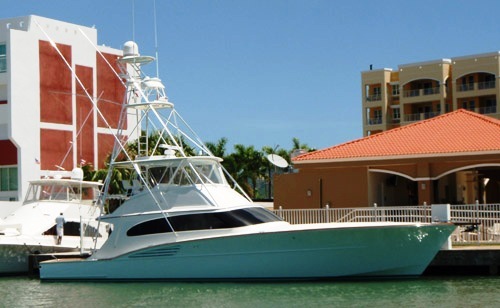 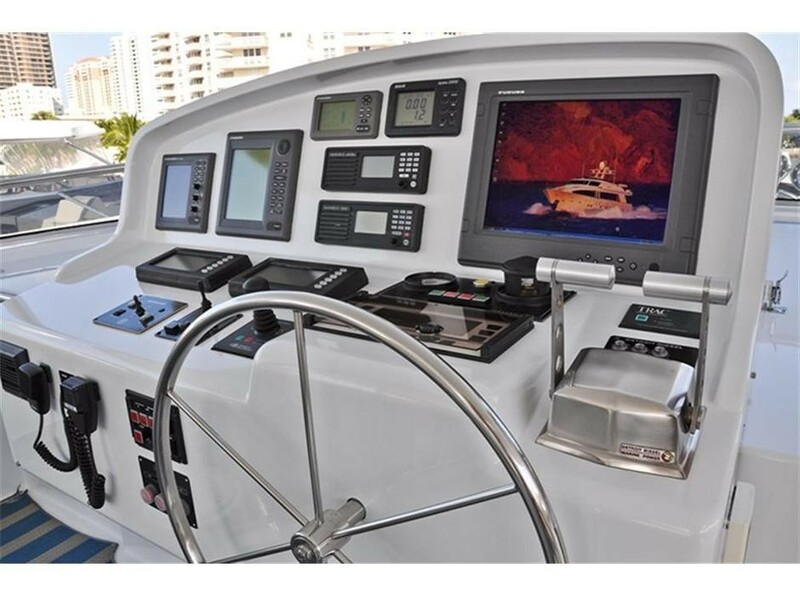 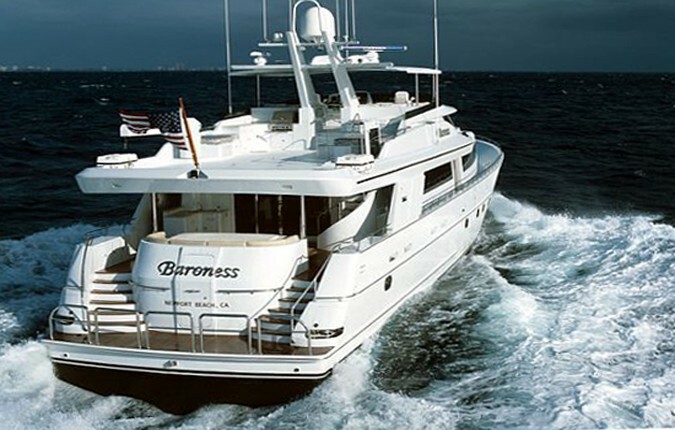 She is also available in tandem with a 61' 2009 Garlington Sportfishing Yacht (shown in photo) on a daily or weekly basis at an additional rate. 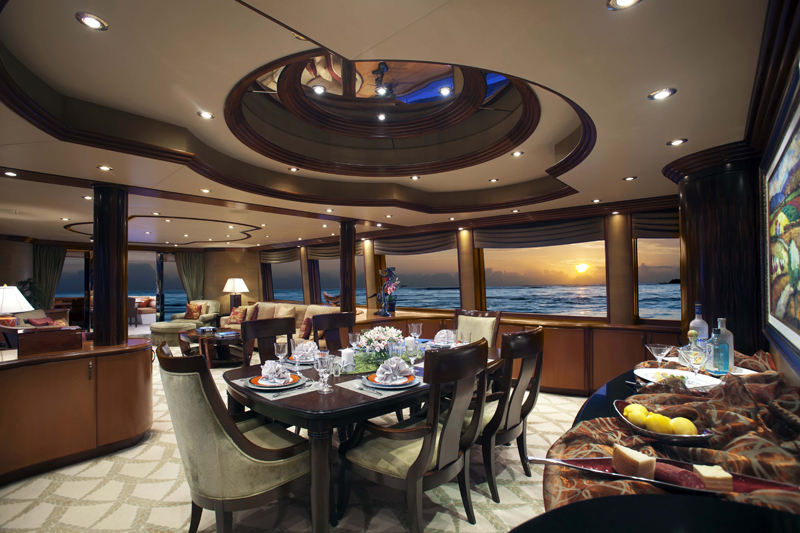 On a weekly basis "Ambush" can accommodate an extra 2 guests. 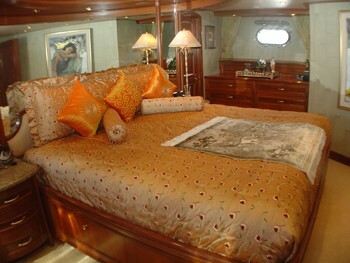 She is a well renown charter yacht. 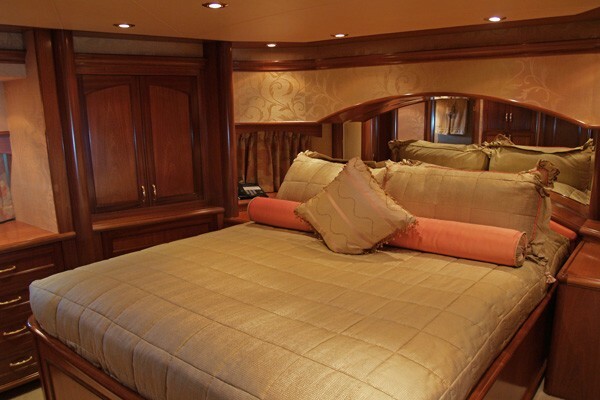 Some of the unique features setting this yacht apart is her Spa treatments, Zero speed stabilizers, Captain's paella on the beach, High speed internet 24/7 (V-Sat), an on deck Jaccuzi, a Super charming and accommodating crew as well as Scuba diving from the yacht (for certified divers). 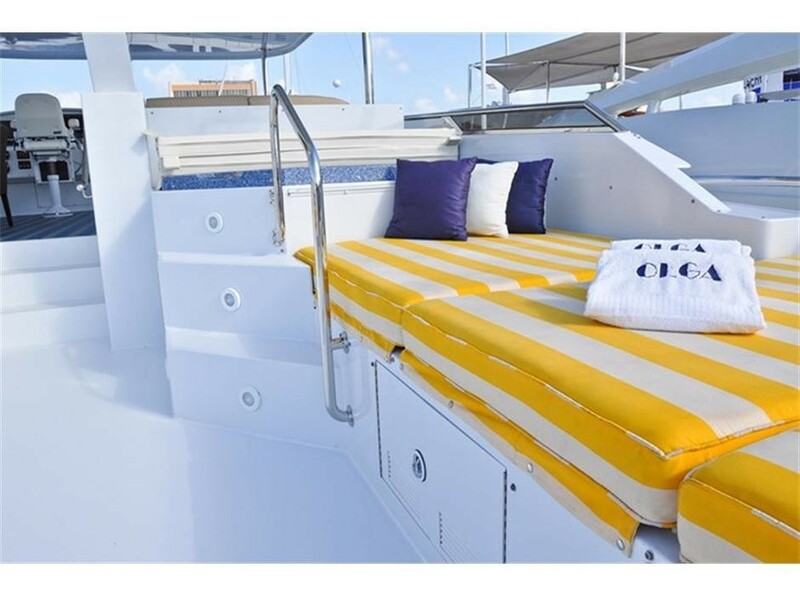 Charter motor yacht JOAN'S ARK can has s a great selection of extras on board including a Deck Spa Pool, a 22'6’ Novurania with 150 hp Yamaha, Dive compressor, 6 BC's, 8 Wet suits, Snorkel equipment , Hobie Wave Catamaran 13', 2 Scooters, two 2-person kayaks, water skis, knee board, tube, molecule tube, fishing rods, 61' Garlington Sportfish yacht at additional rate. 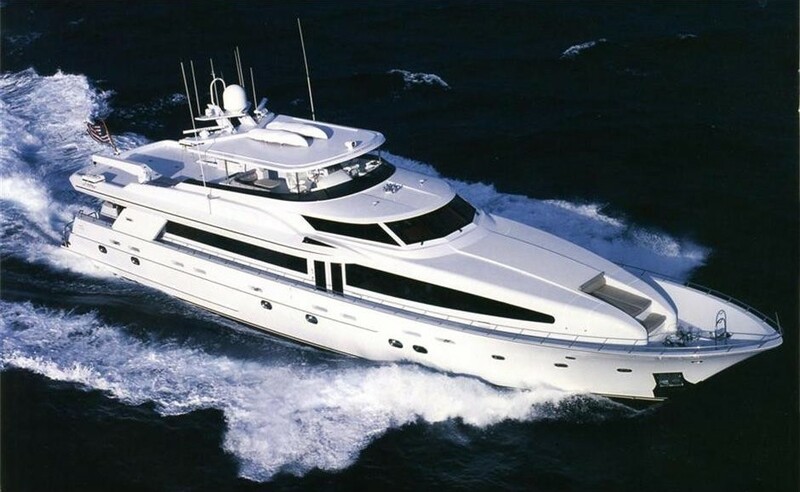 Communications include SatCom, Cell phone, Fax, WiFi, V-Sat - Unlimited Satellite Internet Access - KVH V7. 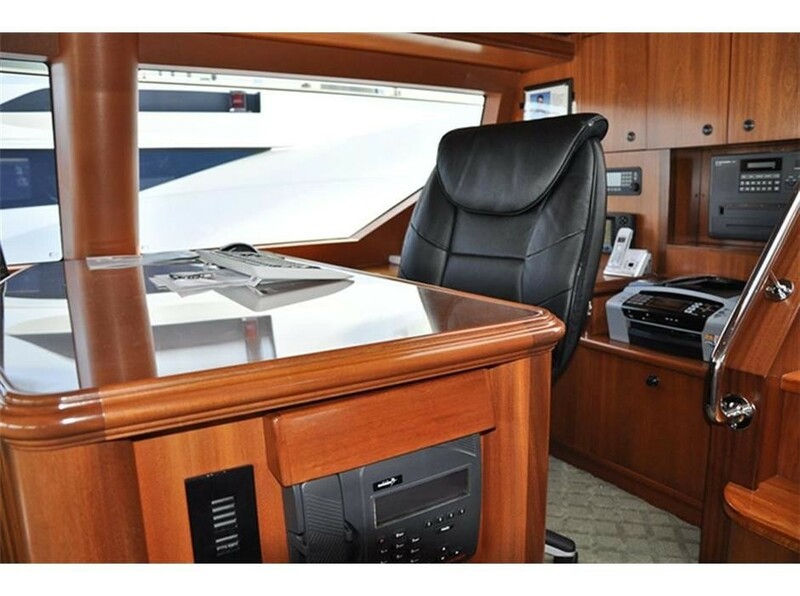 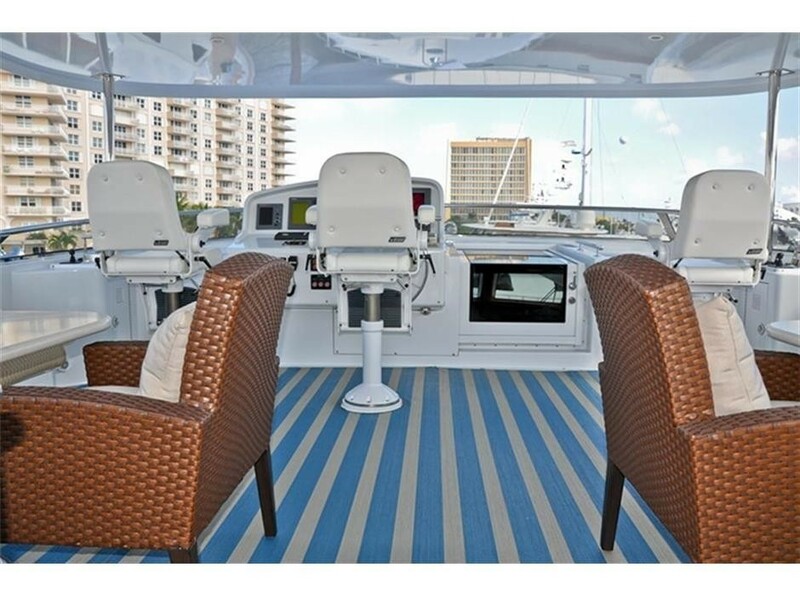 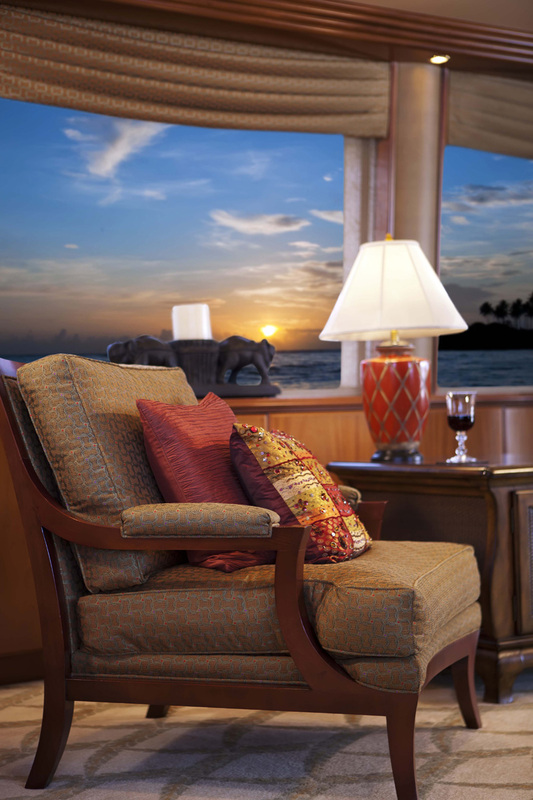 Audio Visual Equipment and Deck Facilities include CCTV and Audio, Sat TV, VCR/CD/DVD/Ipod base, Entertainment center with plasma screen in all staterooms, 50” plasma TV in main salon, Flybridge wet bar, spa pool and BBQ grill, SatCom, Cell phone, Fax, WiFi- New KVH V7, V-Sat - Unlimited Satellite Internet Access.